Architects are trained to find solutions. We have a superpower many other people don’t have: we can see a problem and create a way to solve it. This gives us a huge opportunity to lead both as traditional practitioners and in roles in our society that require creativity and solutions for critical problems. This week on EntreArchitect podcast, Beyond the Box: Architects Practicing Beyond The Traditional Design Firm with Katie Crepeau. 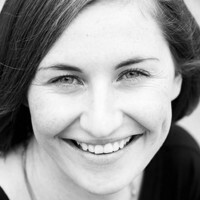 Katie is an architect and a business consultant based in London, England. She’s an advocate for and a practitioner of social impact design. She’s the founder and editor for Design Affects, an online platform that inspires, teaches and connects those involved in social impact design and much more. The earliest memory Katie has of engaging with architecture is around the age of five when she was living in a home she was moving out of. She remembers drawing the plan of her bedroom, complete with the red-orange carpet, and she added all the various elements of that space. Katie’s dad is an engineer and her mom is a teacher who studied art, so a big influence was seeing both of their personalities and approaches to doing things. Both of them inspired Katie and her family to be creative: her dad was focused on precision and technique, and her mom on the expression of creativity. As she began studying and practicing, she wanted to connect with people. Katie studied at Tulane in New Orleans, a very different and distant place from where she grew up in California. There she explored and grew in a new city around new people and was able to define who she was as a person. She thought she’d be pursuing the traditional architecture path, but she’s also aware that she’s a “question-asking” type of person. Following graduation and licensing, she wanted to improve the profession of architecture and reconnect it to who we are as people and to the people we’re trying to impact in the first place. Early in her career, Katie worked with small firms that did residential and urban repurpose and regeneration in New Orleans. When she moved to San Francisco, she got more involved with commercial and developer-led projects. Her background, including volunteering and seeing the change in people because of her giving, led her to take a night course from Berkley called Architecture is Activism. Then began the journey of the next six years of her life to focus on social impact design. Social impact design is working with marginalized or underserved communities and developing products or services that help them create a better environment for themselves. It includes architecture, systems, and everything that comes along with it. Eventually, Katie became an advocate for social impact design. Though working with a group of architects who were all pressing toward the same goal but lacking a certain business acumen, Katie started looking at other firms who were doing similar things. What is your advice for someone who has a problem they want to solve? Katie advises people to start with a project. Don’t start an organization until you have a project and a client and can validate the demand for what you’re doing. She has a ton of eagerness as well, and a lot of her early projects reflect that. In actuality, it’s about validating your idea before you do anything. Identify the people you want to help, get out there and talk to them about what they do, why they do it, their challenges and more. Following that, you can pitch something to them, similar to the ideas presented in the book, The Lean Startup. Sometimes when you go down that road you get so wrapped up in the funding that you forget to ask if there’s actually a need for what you’re doing. It’s important to find the middle ground of what you’re passionate about and who it is that has a need for that. What inspired you to serve architects who want to grow beyond the traditional practice? Through conversations Katie had with architects and designers and following business communities, she observed that everyone wants to provide value to others. It’s not only about social impact, it’s about anyone who can provide value to a group of people who need it. Now, Katie works to help people identify their vision and the change they want to see. What does that mean for their skills and interests as well as those they want to work for? How can that all tie together? Social impact comes in many different formats, and it’s up to us to decide how we want it to come about in a way that makes sense. How can someone branch out on their own social impact project? Katie works to develop a five year plan. What does it look like day to day and where do you find the purpose through what you’re doing? Today, who is doing something similar to what you want to do and how can you get to know them? After those conversations, what resonates with you and how can you craft your vision to include potential opportunities to embody this? You never quite know if it’s the right path, but you have a gut feeling from those around you that you know will support what you’re doing. What are some first steps to build a team and execute a big idea? Really understand where you want to focus and what you want to do. Figure out your assets and how you want to drive your energy toward that. Then, what do you need to balance or supplement that? 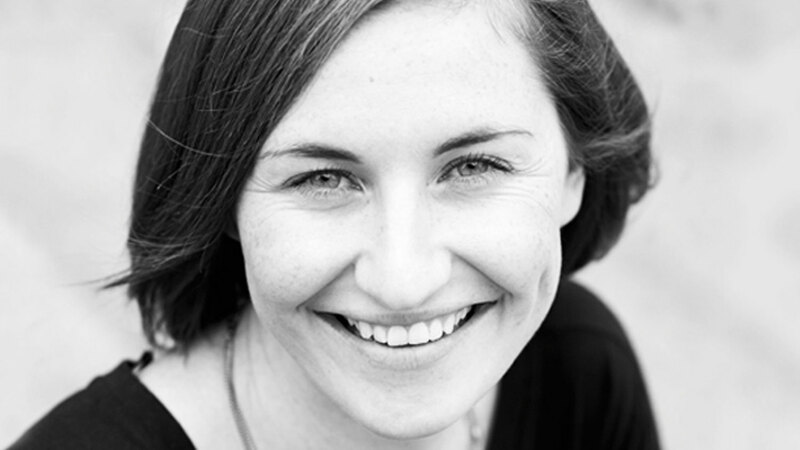 Katie uses personality tests, like Instinctive Drives, to gain insight into where your strengths and weaknesses lie. Then, find someone who compliments your weaknesses and can drive their energy toward those. Katie really enjoys one-on-one consulting, but she really wants to help architects reconnect with why they entered the profession. She’s developing an online program to help people find and craft their vision and then have the follow-up support to make it happen. Connect with Katie about one-on-one support or group support online at DesignAffects.com or via LinkedIn, Twitter, Instagram and Facebook. Exclusive EntreArchitect Opportunity: Learn more about booking a FREE 30 minute Clarity Call with Katie.